CEDAR RAPIDS — A local company that certifies halal beef products for Midamar Corp. and other companies is asking a federal judge to dismiss 92 charges stemming from mislabeling products, saying the government can’t regulate religion or religious practices. Islamic Services of America filed a dismissal motion Friday in U.S. District Court, asserting that the charges are a violation of the First Amendment and that the government can’t enforce religious slaughter protocols of Malaysia, Indonesia, Kuwait and the United Arab Emirates. The federal charges allege halal law wasn’t followed in slaughtering practices. 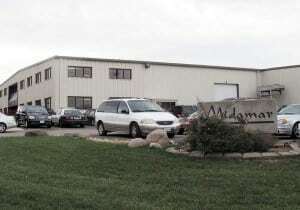 Midamar Corp., its founder William B. Aossey and his sons, Jalel and Yahya Aossey, who are corporate officers for Midamar and Islamic Services, also asked the court Monday to dismiss cases against them based on the same arguments. The Islamic Services motion also contends there is no offense claimed to charge 88 wire fraud and money laundering counts. The charges don’t claim there was a loss to the United States or the other countries where the products were shipped. The government’s theory of wrongdoing is based on assertions that Islamic Services fraudulently certified that the products complied with foreign halal slaughter codes of Muslim nations on export certificates and fraudulently certified those products as halal when they didn’t meet the requirements listed on its websites for halal slaughter, according to the motion. However, the motion contends, those charges violate clauses of the First Amendment that prohibits laws on an establishment of religion or practices of that religion or religious beliefs. The motion also contends that the U.S. Department of Agriculture’s Food Safety and Inspection Service specifically doesn’t rely on halal certification when certifying beef products for export to Muslim countries. According to the motion, the agency’s website says it is not responsible for certifying that products being exported to Muslim countries meet requirements for religious slaughter. Jalel Aossey, 40, and Yahya Aossey, 44, and the two businesses are charged with 92 counts including conspiracy to make and use materially false statements and documents; sell misbranded meat; falsifying statements on export application; wire fraud; and money laundering. Their trial is set for Aug. 28. William Aossey, 73, faces 19 counts on similar charges. His trial is July 7.